The New Document preset seems to default to the last page created. 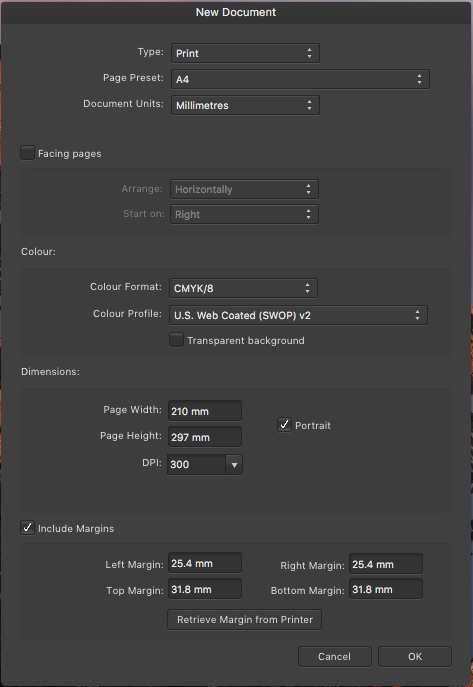 It's graet that I can set Colour format and profile at this stage as well as page size etc but there needs to be a preset so that I can create regualr page sizes with one click e.g. CMYK A4, or RGB 1024 x 720 etc. There seems to be no preferences setting to do this.